Expects to gain required authorization for a late summer drill program following land use licencing and a revised water licence. Blue Star Gold Corp. (TSX-V: “BAU”) is pleased to present this update on its corporate activities and to report on its planned operations for 2019. Blue Star has decided to drill this year on its priority gold targets within the Company’s 100%-owned Hood River concessions to map and sample in detail certain high-grade grade gold occurrences for future drilling programs. Blue Star is also pleased to report that the Nunavut Planning Commission (“NPC”), on March 18, 2019, referred our application for the Hood River exploration program to the Nunavut Impact Review Board (“NIRB”) for screening. Following receipt of public comments and a screening decision from the NIRB, Blue Star will commence land use licencing with the surface landowner, the Kitikmeot Inuit Association (“KIA”), and will seek to renew and amend the existing water licence administered by the Nunavut Water Board (“NWB”). Blue Star expects to hold required authorizations in time to support a late summer drill program. The Hood Property covers 8,015 hectares (80.15 square km) and is located 125 km west of Bathurst Inlet, Nunavut. The Hood Property lies entirely on Inuit-Owned surface and sub-surface land; Blue Star holds an agreement with Nunavut Tunngavik Inc. (“NTI”) for the exclusive right to explore the parcel. Priority drill targets within the Hood Property are on-strike and north of the Ulu Mining Lease’s advanced Flood gold zone and are related to the 5 km long Ulu regional fold. The North Fold Nose Area (the “NFN Area”) is the part of the Ulu fold that extends for 2 km from the Ulu lease boundary north, traced the axis of the fold. It is reported that several gold occurrences are located on this trend including the NFN Vein, the Bizen and the Apex. 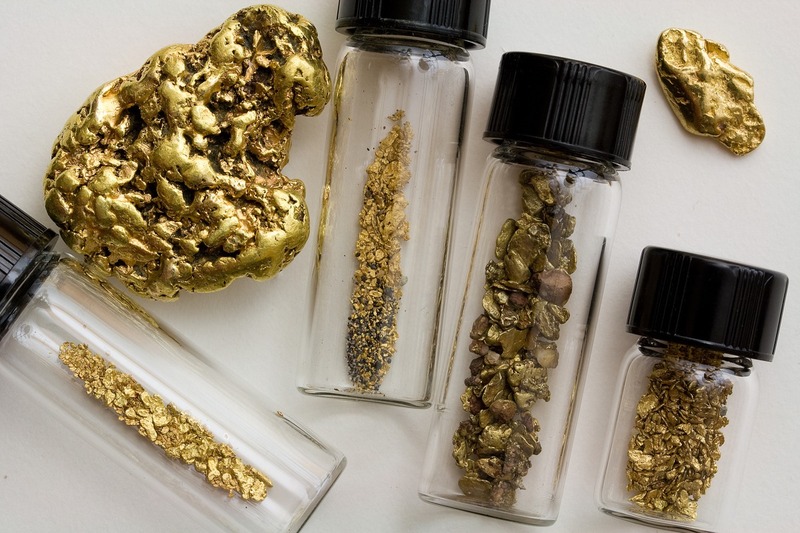 In 2014, the Company sampled the NFN Vein taking 18 channel samples that had an average width of 0.92m and graded 6.94 grams/tonne gold (g/t Au) and 7.66 grams/tonne silver (g/t Ag). BHP tested the vein with 5 diamond drill holes in 1990 and 1991. Diamond drill hole 90VD-81 tested the vein on the east fold limb and returned 6.03m grading 7.31 g/t Au, including 25.63 g/t Au over 1.54m at a vertical depth of 60m. Drill hole 91VD-111 was drilled underneath 90VD-81 the following year and intersected 9.16 g/t Au over 6.88m, including 54.94 g/t Au over 0.95m and 0.25m grading 18.2 g/t Au at a vertical depth of 95m below surface. Blue Star recognizes the NFN Vein as an excellent candidate among others for a comprehensive program of highly detailed geological mapping and sampling of the surface showings. Other Hood Property gold occurrences on or related to the Ulu fold include the Bizen and the Apex zones. The historical Bizen mineralization was sampled by BHP in 1993. 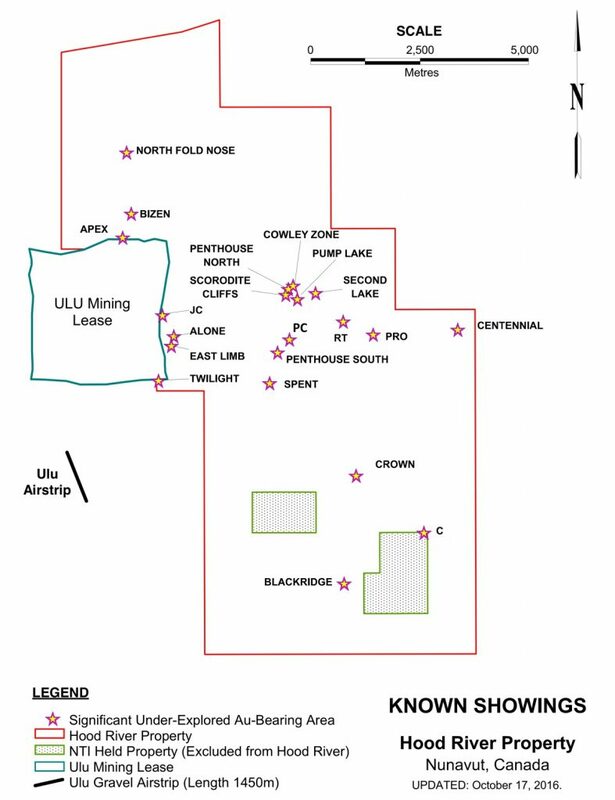 Ten grab samples were obtained within the Ulu fold axis and along a 300m long gossanous occurrence. The two highest gold analyses are reported as 177,000 ppb Au and 49,700 ppb Au. The Apex zone is located 2 km south of the NFN Vein and just north of the Ulu mining lease boundary. The Apex is also localized along the Ulu fold axis. Historical work has shown the Apex zone to be up to 700m long with typical surface samples of 2-11 g/t Au over widths of approximately 1.0m. The Bizen zone, the Apex zone, and the area between the two zones are also priority targets for Blue Star’s immediate exploration plan. Warren Robb, P.Geo., is a Qualified Person under National Instrument 43-101 (“NI 43-101”), and has reviewed and approved the geological information contained in this presentation.